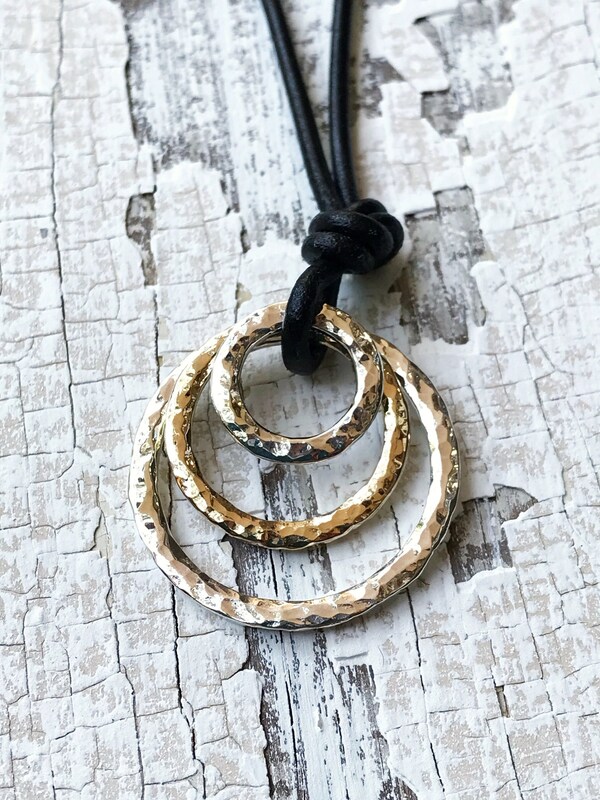 I start with solid 12 gauge sterling silver and solid 12 gauge 14k yellow gold, which gets hammer formed, soldered and shaped completely by hand into a beautiful and unique trio of concentric circles with their own rustic texture, no two sets are ever the same. 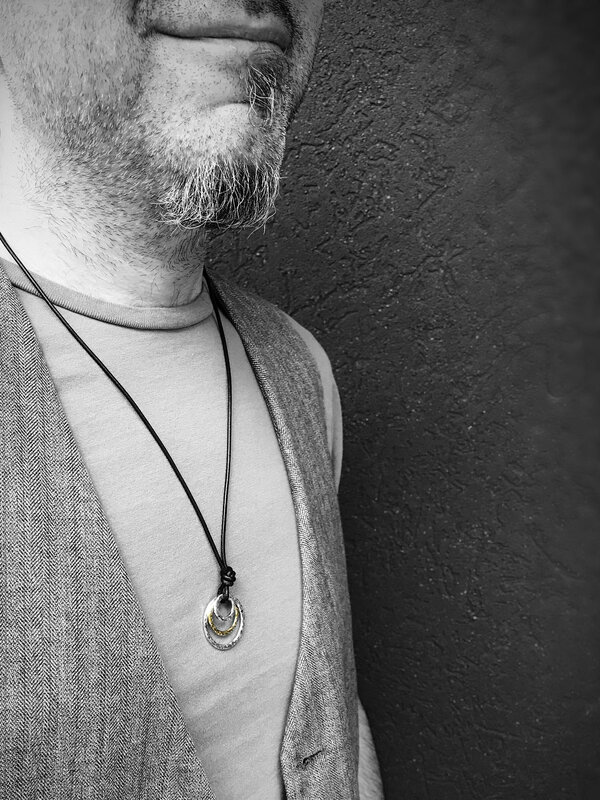 After the hammer forming, they get meticulously refined, filed and polished by hand, to ensure that they are beautiful and long lasting. 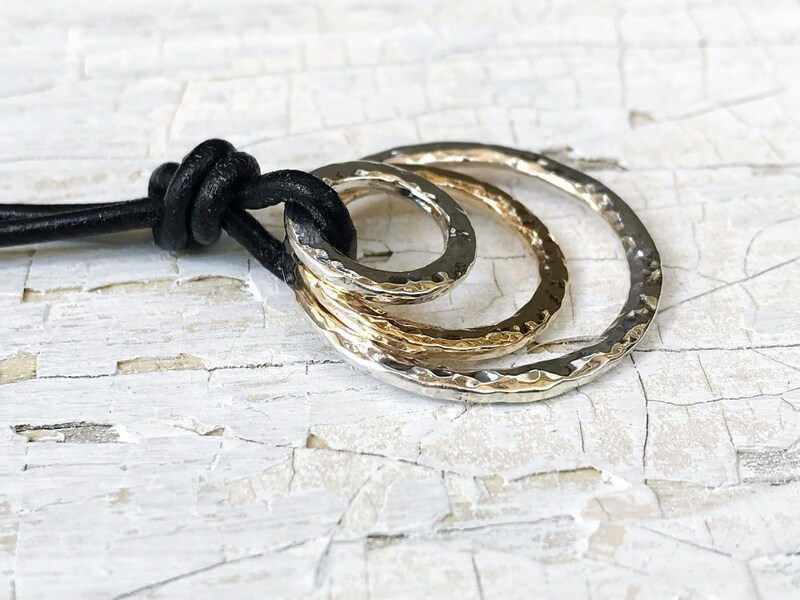 Finally they are knotted onto a simple black leather cord which is adjustable, to complete the piece. 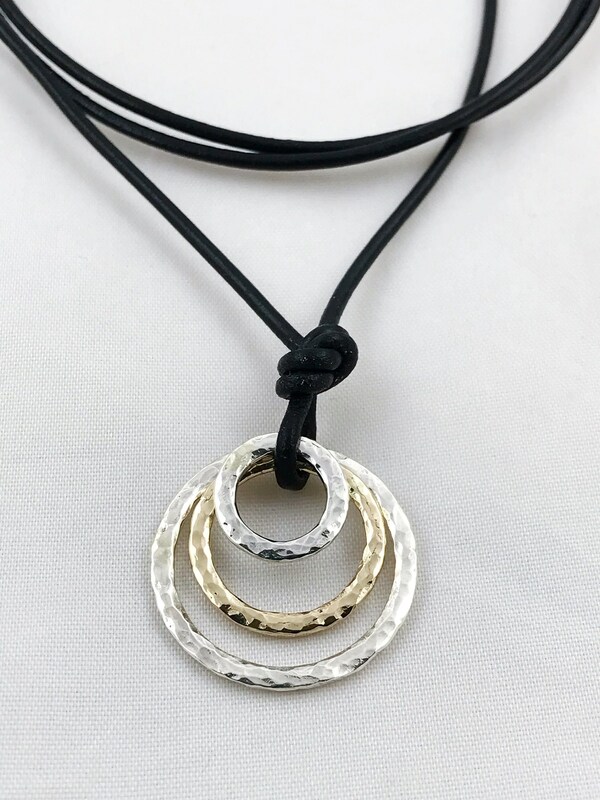 -Circles in this design are knotted on cord with a larger cord loop so that they have room to sit one in front of another, grouped at a single point (as shown in photos). 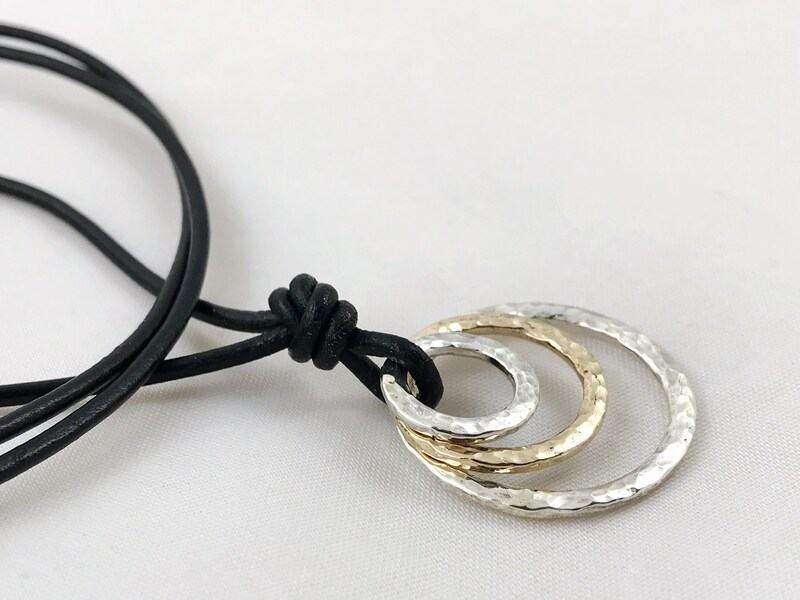 They will move about during wear, sometimes nesting within one another, sometimes changing position within the loop (they make a nice jingling sound when moving about). 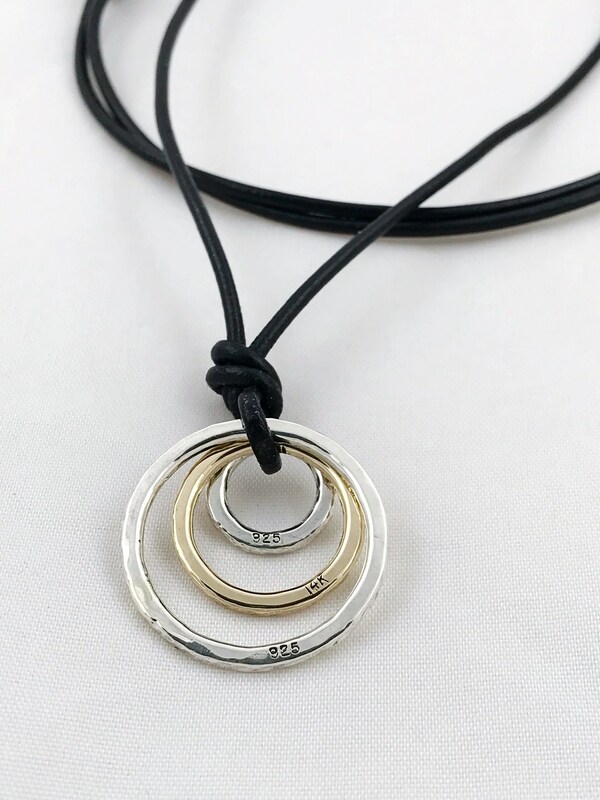 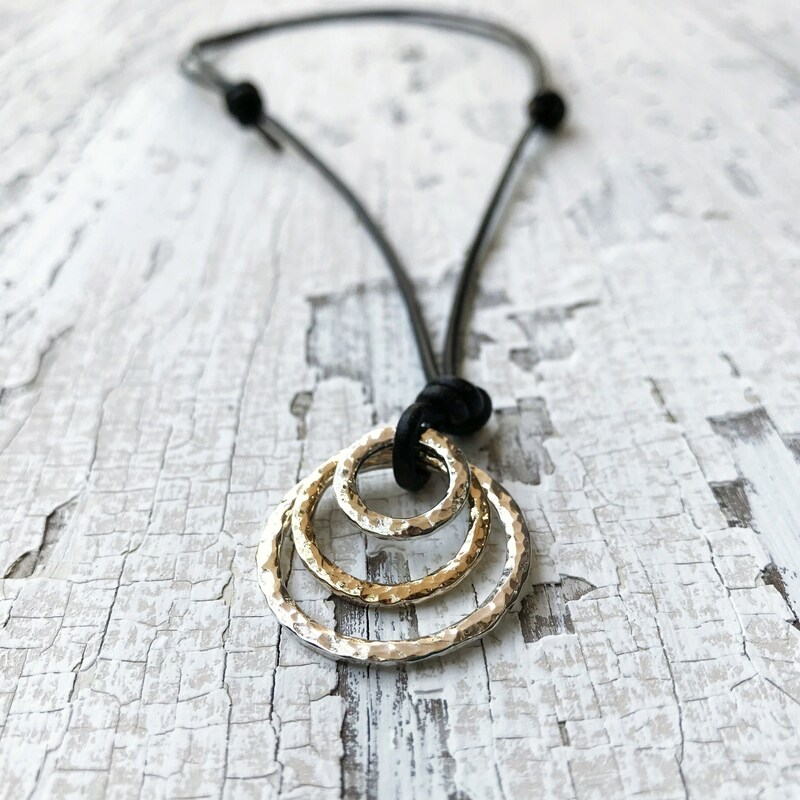 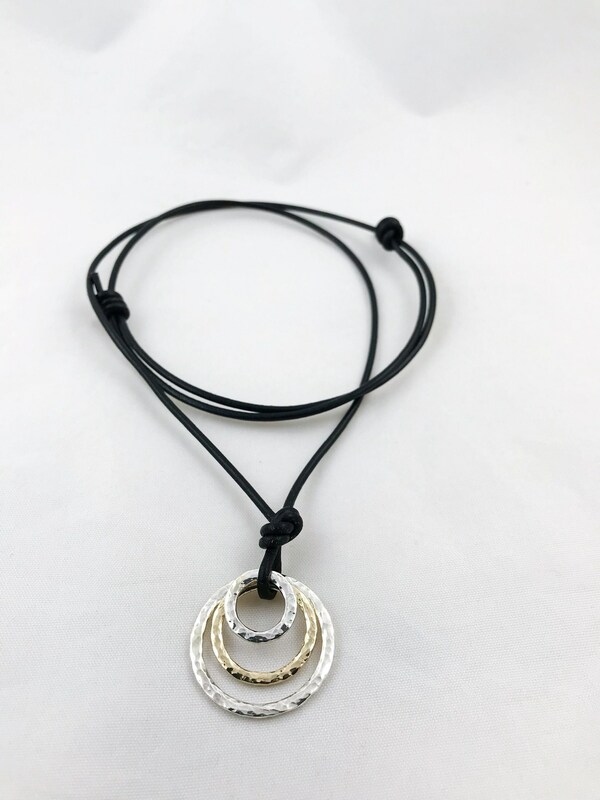 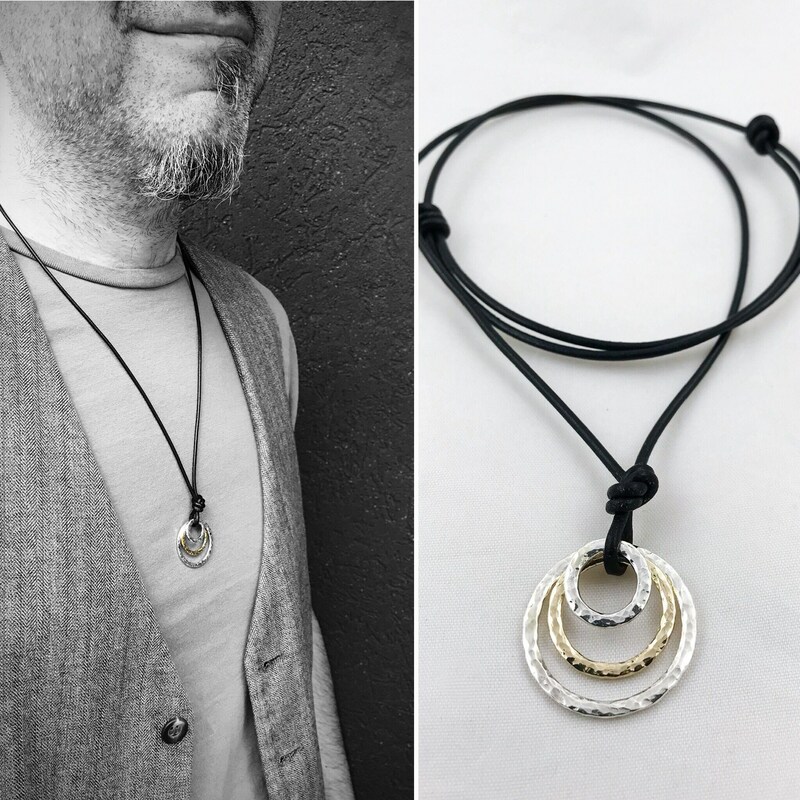 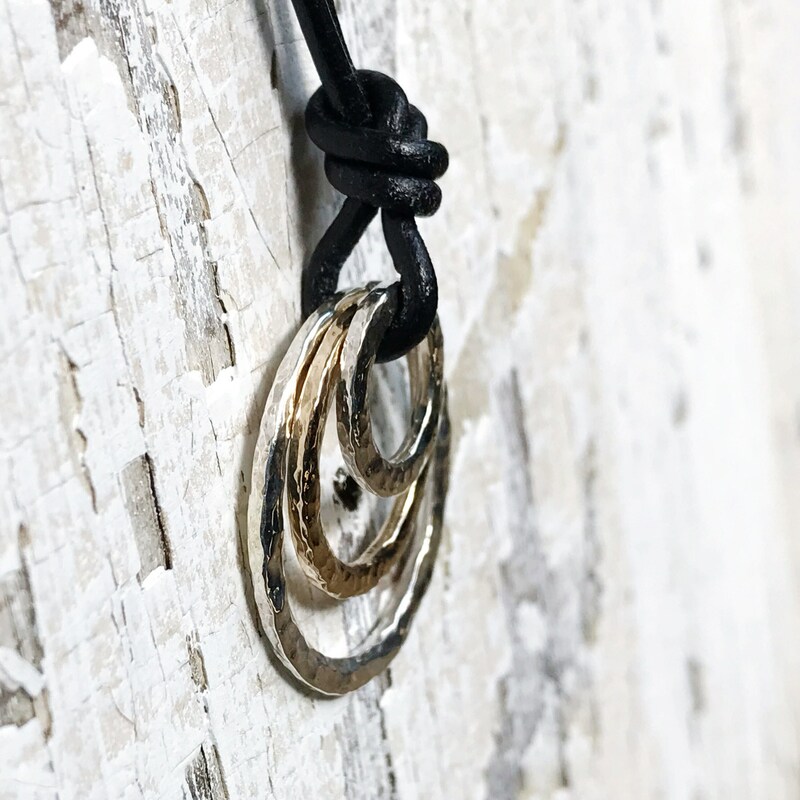 However, if you would like them knotted with a tighter loop so that they permanently nest within one another (as shown in my Men's Double Circle Necklace) just leave me a note in the "Notes To Seller" box at checkout.